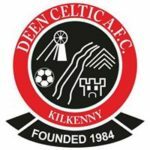 Join us in Deen Celtic A.F.C on Sunday 9th December, where we are holding our very first Santa run. Distances are 10km/5km Run and a 5km family walk/run. All money raised is going towards the re-development of our all-weather pitch for our school boys and girls teams and the development of a walking / running facility around the perimeter of the club . Medal and Santa hat for all entrants. Refreshments after the event in club house . Please join us – it’s going to be a great day for the whole family. For anyone who can’t join us in person … click on our virtual run option below. Prove you ran your 5/10km by sending a picture of your watch/phone details to Deen Celtic’s Facebook page and you too can receive a medal for participating. On the day registration and number collection will start at 8:30am in Deen Celtic Club House, and the event starts at 11am sharp.